This morning I made myself a smoothie for breakfast! It was a peanut butter smoothie. It was low calorie and tasty! 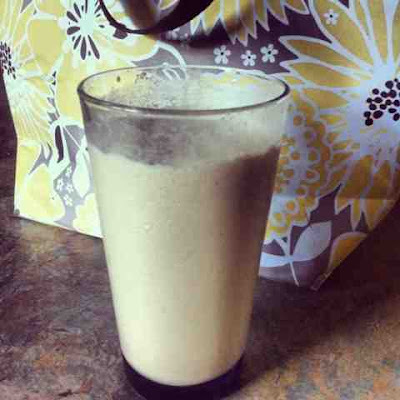 I used 1/2 cup of skim milk, 2 tbsp smooth peanut butter and a tall glass of crushed ice. Mix well and there you have it! 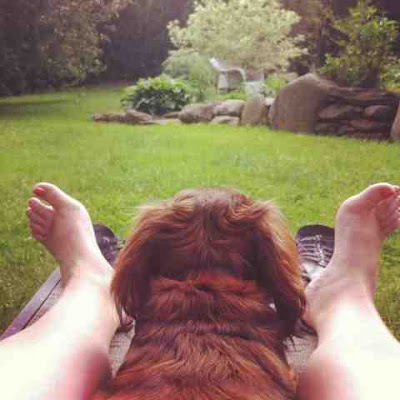 Since I didn't have a lot going on, I took advantage of my time after work by laying out with my dogs. I had a small salad, then decided to go to my moms house to visit my brother and sister. We went to Walmart, and I bought a new shirt. Very exciting, I know. 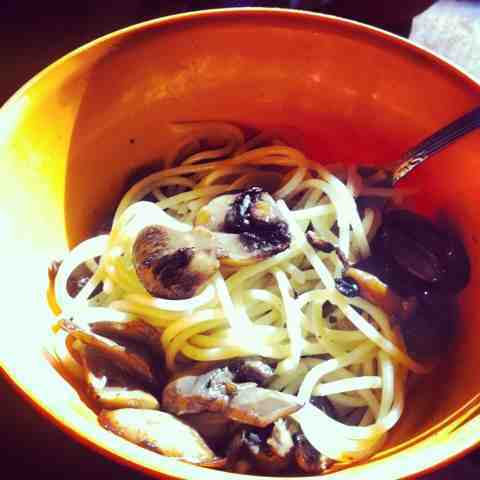 My mom made spaghetti with butter mushrooms for dinner. I had a couple bowls of that and managed to stay within my calories for the day. Success! What was your success for today? That spaghetti looks so good! I'm envious of your view when you lay out. I just get the view of my super old neighbor watering his tomato plants in his wifebeater shirt. Yuck!